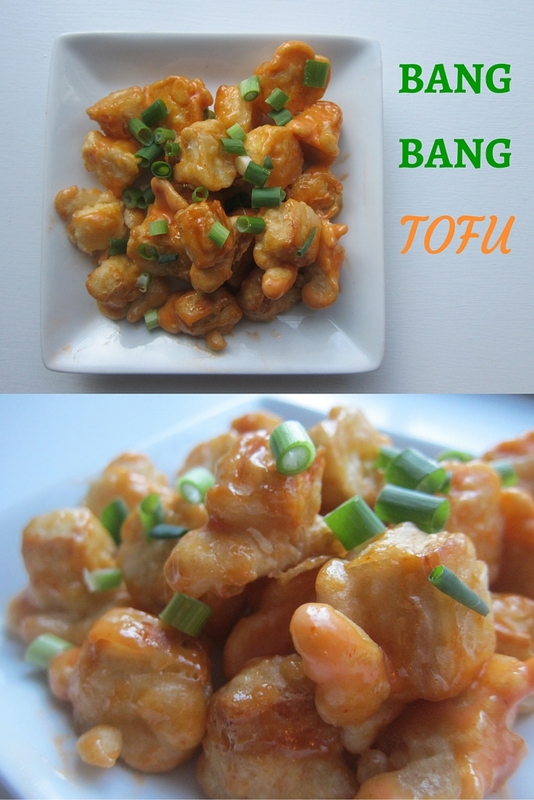 Have you tried any of the copy-cat "bang bang" recipes out there? 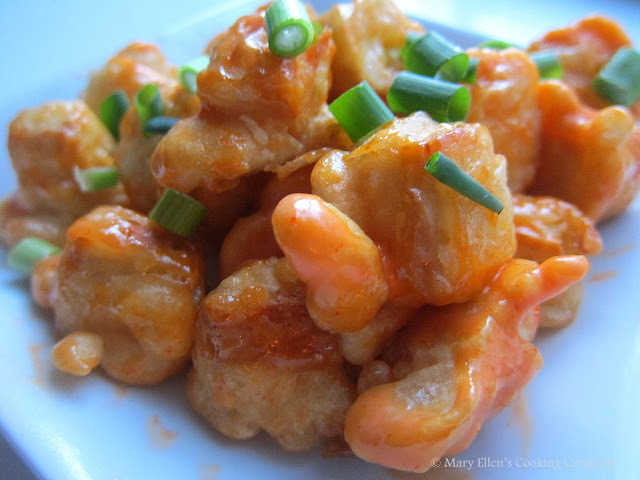 You know, that creamy spicy sauce made popular by Bonefish Grill's Bang Bang Shrimp. Ever since that dish became popular, I have seen many things made "bang bang" style. 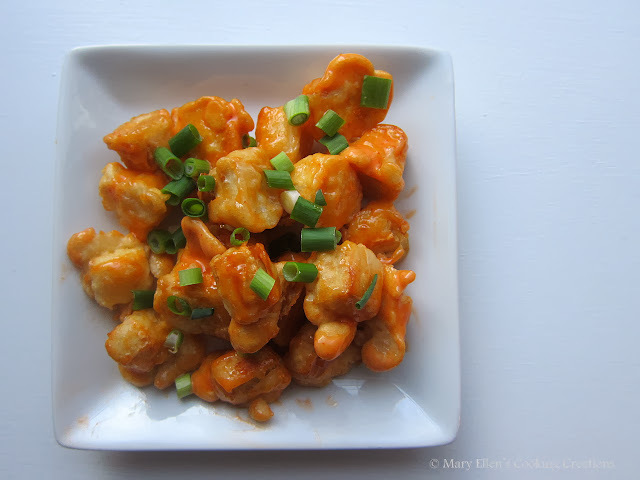 I made Bang Bang Cauliflower a while back and had been craving it again, but wanted it as an entrée. One night Jon was making some shrimp and I planned on making tofu for myself, and as soon as I grabbed the Sriracha sauce I knew I wanted to make Bang Bang Tofu. I used the cauliflower recipe as inspiration. I pressed and cubed the tofu, dipped it in a thick batter and fried it up before tossing it with the sauce that makes my mouth water every time I think about it. Using tofu in this way was perfect - the batter gets thick and crispy while the tofu stays soft. If you have been wanting to try tofu but are nervous about the texture, this may be the way to do it since you'll have some other textures than just the soft tofu. Take 1 block of extra firm tofu, wrap it in paper towels or a clean, dry kitchen towel and place it on a plate. Place something heavy on top of it (but not something that will crush or break the tofu) and place it in the fridge for about an hour. 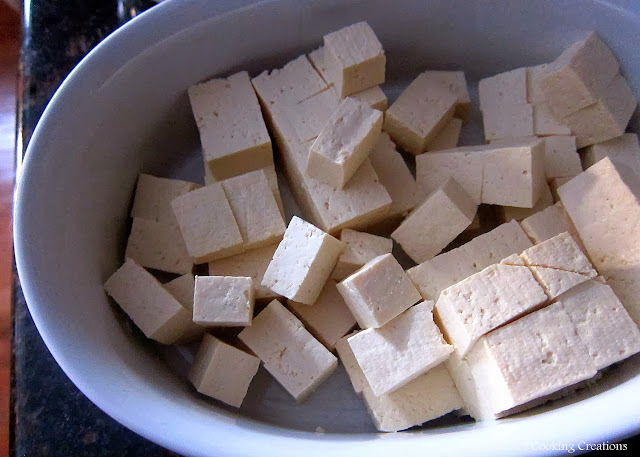 Cube the tofu, dip each piece in batter, and drop it into very hot oil. Fry about 90 seconds - 2 minutes, flip and fry the other side. Remove from the pan and place on paper towels to let some of the grease drain. Toss with the sauce and top with green onions.